How could we go on a Filipino cuisine food tour without exploring the joys of the very Pinoy dampa! 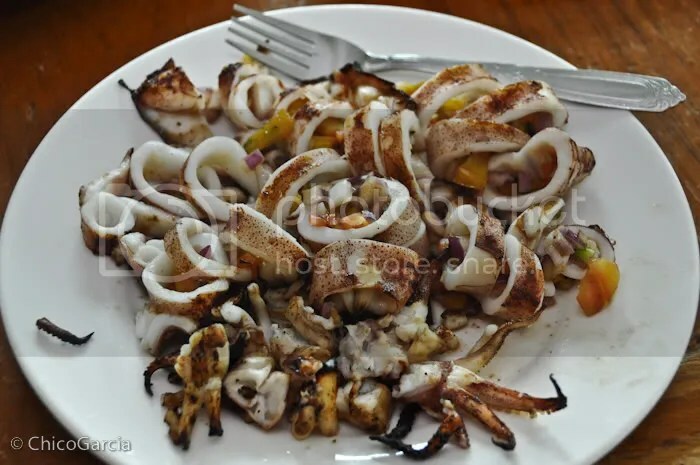 These humble, down-to-earth restaurants are a treasure trove for seafood lovers and so we trekked to Macapagal Avenue to their Seaside dampa to feast in a restaurant called Trinity. Usually, you have to go to the market to buy your ingredients and they just cook what you bought. But you can also just order from the menu and they’ll do everything for you. I must say, one of the restaurants I enjoyed the most so far. We started out with appetizers, crispy kangkong and ensaladang mangga. I’m not a big fan of crispy kangkong, so I wasn’t really excited when we picked that as an appetizer. But I must say, this version is the best I’ve tasted ever! The batter was very thinly applied, and so the kangkong ended up super crispy. I’ve never enjoyed crispy kangkong quite like this. I’m a big fan of ensaladang mangga (we always remove the onions though) so it’s a given that I enjoyed it too. Of course we had soup to start the main meal. We opted for tinola with tons of malunggay, which was Delle’s request since malunggay is excellent for nursing moms. I love malunggay in anything (like munggo and other soups) so this was a good start for the dining extravaganza that was to follow. 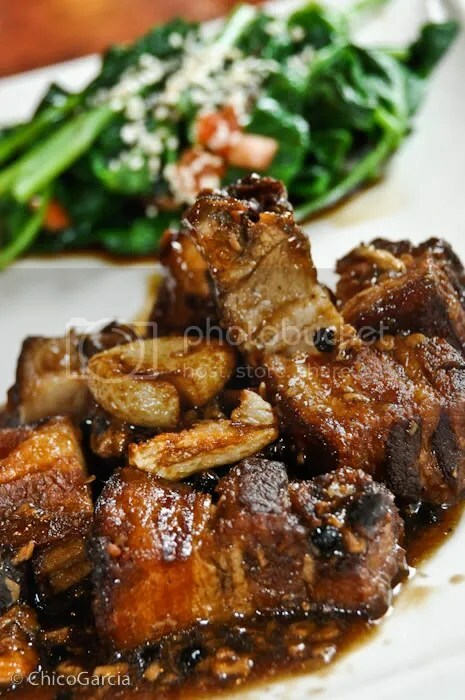 Let me get the non-seafood dishes out of the way, because inasmuch as the inihaw na liempo is a Pinoy favorite, the seafood dishes took center stage for this meal. I really wanted to eat more of this delicious ulam, but the seafood was just beckoning a little too successfully. I’ve always LOVED halabos even as a kid. 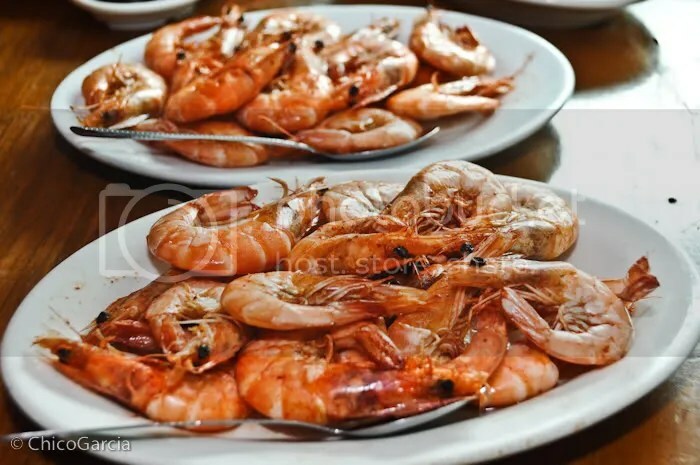 But the halabos I’m used to are the smaller shrimps, so when they brought out this halabos na sugpo, I was in heaven! We made a sawsawan of toyo, spicy suka, clamansi and siling labuyo for this. Oh my lord, it was sooo good! There were 4 of us eating, and 2 were allergic to shrimps (Delle included), so me and a friend had a field day. I also eat halabos with tomatoes and patis, but whatever the sawsawan, I’m a happy boy when there’s halabos. I saved the last two dishes, which I thought were the best ones, for last. Again, I’m not partial to squid, I’m more of a shrimp and crab person, usually because my experience is that the squid comes out rubbery and hard to chew (much more swallow and digest). This squid was the most tender, flavorful squid I’ve had in a long time. It was just melting in my mouth. If all squid was as easy to chew as this, I’d be eating more squid. Oh. My. Lord. I ate so much of this finger-licking crab that I felt a little woozy after. This crab had so many levels of yummy that I don’t even know where to start describing it. Again, 2 of us 4 were allergic to crabs so us two who were left were tasked to devour most of this crustacean, and we stepped up to the challenge. 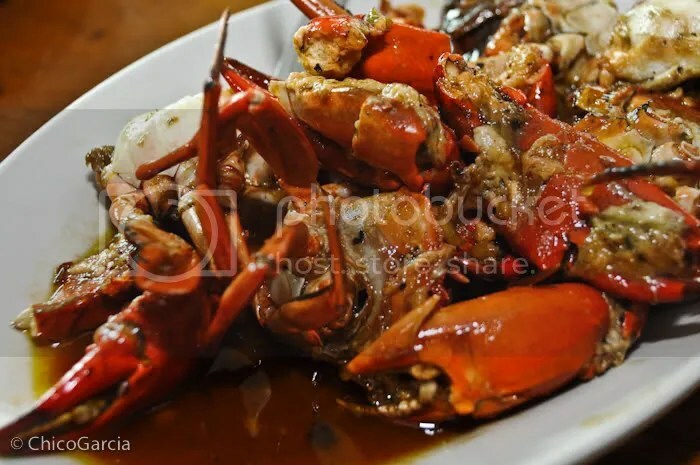 As a kid, our family used to go to Aurelio’s along Roxas boulevard to feast on their crab buffet, so eating crab this good brings back very good memories. The crabs we had were all male, so we didn’t get any aligue (which is good, given my cholesterol levels), but I can imagine if the crab we had was also bursting with that red gold of goodness! I swear, it was so good that writing about it now makes me salivate all over again! I guess what this experience shows is that you don’t need to go to an expensive restaurant to eat good Pinoy food. In fact even smaller restaurant like the ones in dampas would put the expensive ones to shame. The crispy kangkong, the pusit and the crab alone are worth every centavo you’ll pay. Eating good Pinoy food like these really reminds me of family memories, they come flooding back as I take mouthfuls of say, sugpo or alimango. And when the food is this good, the conversation becomes just as fueled. We really enjoyed our lunch today, hope to have more like these in the coming stops. 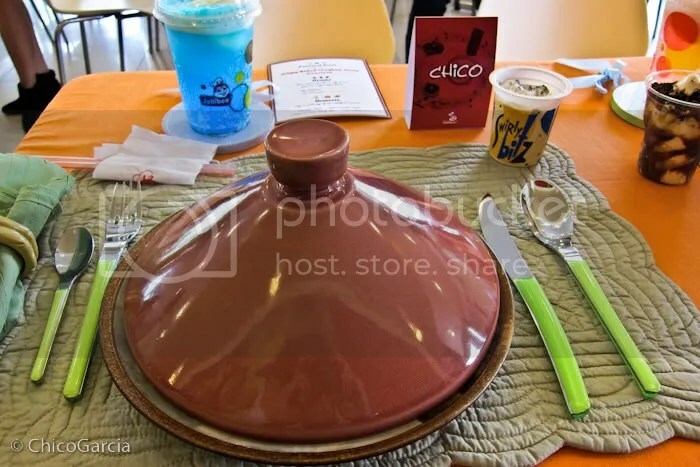 For our next stop, we tried C2 Classic Cuisine in Power Plant in Rockwell. I’ve eaten in C2 a number of times before, but I’ve been to their EDSA Shang and Megamall branches, but it’s my first time in their Rockwell branch. C2 proves that Pinoy cuisine is not just your regular lutong bahay, but something you’d go out of your way for. They like putting a twist to the classic dishes, plus, they let the diners “assemble” the dishes to their individual liking. 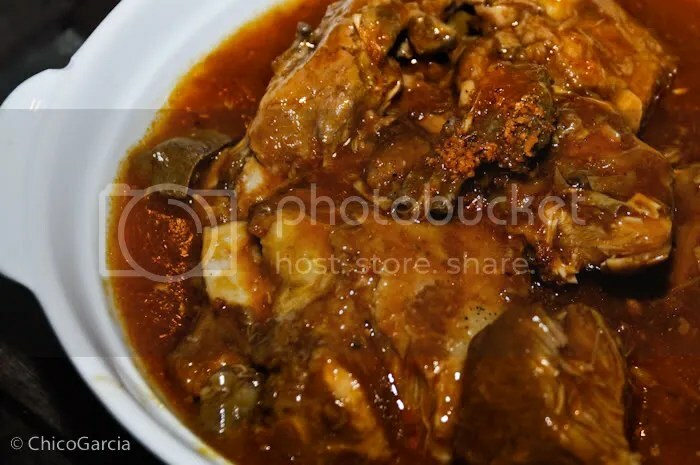 It’s common to find the meat separate from the sauce/soup. 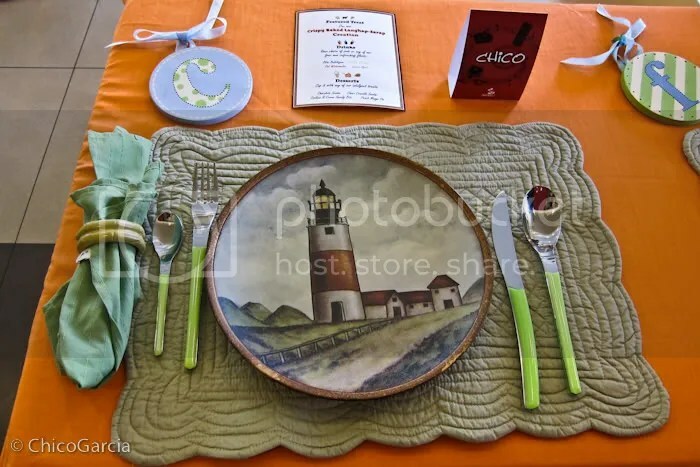 It’s an interesting way to plate food. You’ll have to forgive me, I’m paraphrasing the dish titles since I wasn’t able to get the actual names. Treat my titles more as descriptions of the dishes. 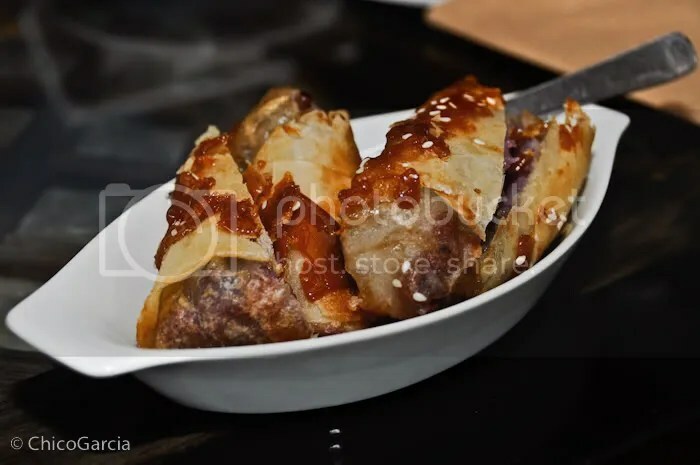 We started off with Lumpiang Hubad, which is a favorite of mine. I usually love this lumpia, whether it hubad or fully clothed. The twist is having the lumpia wrapper fried into little rolls that held pea shoots, think togue, but from peas. Reminded me of the pea shooters in Plants Vs. Zombies. Even without the sauce I always enjoy this dish. Our soup was the Sinigang na Ribs. This is what I mean, the meat was separate from the soup. So if you wanted, you could put the soup and some meat together in your bowls as you please. Or you can drink the soup first, and treat the ribs as a separate dish. 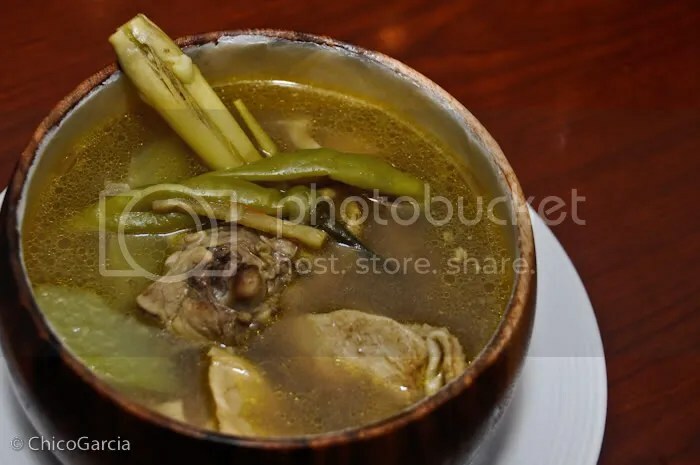 Plus, their sinigang broth is flavored by kamias, a not so used ingredient to sour the broth. 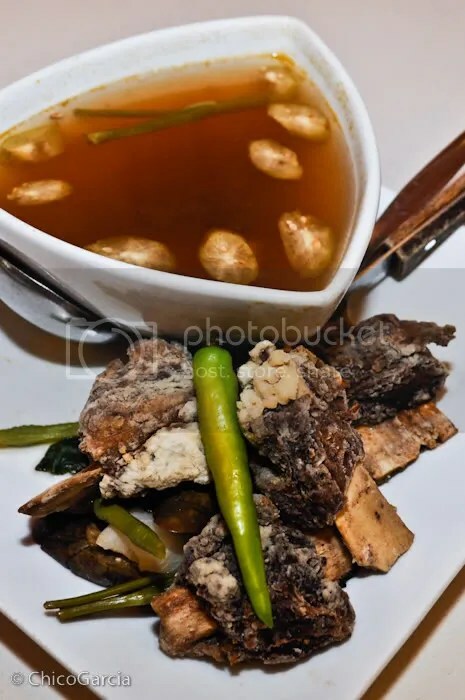 It’s more common to find sampaloc or bayabas used in sinigang, so the kamias is a welcome version to the familiar sour soup. Technically we had two soup dishes. Since it’s a Friday, we had Munggo with Galunggong. Why is it that munggo is served every Friday? I just recently learned this apparently commonly practiced culinary quirk. 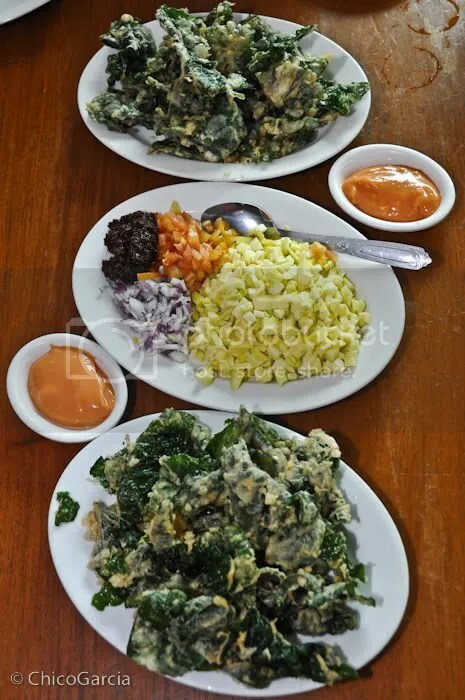 They say in carinderias all over the Philippines, munggo is served every Friday. Someone tell me if they know. 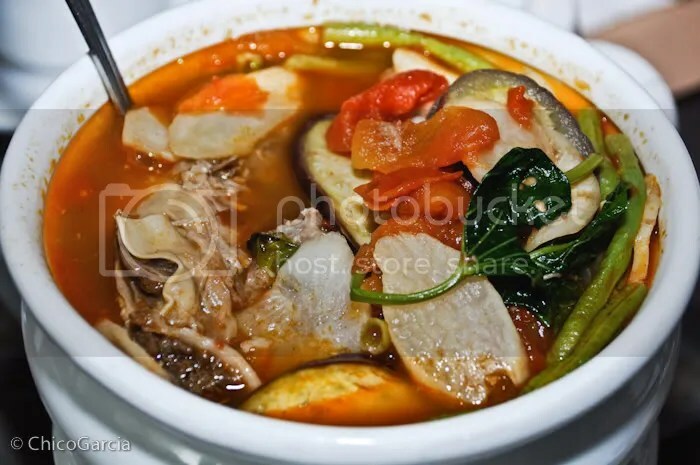 A much overlooked dish, Menudo is rarely found in menus of Pinoy restaurants. I really wonder why? 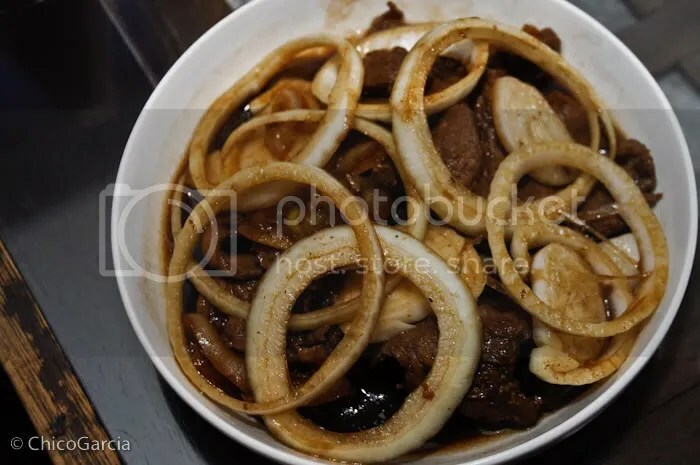 Adobo is omnipresent in any vaguely Pinoy restaurant, but something as equally ubiquitous in the Pinoy dining table as Menudo is strangely absent in the same menus. Their version is almost a fusion between menudo and caldereta. I truly believe Pinoys should rediscover the restaurant potential of the humble but savory menudo. 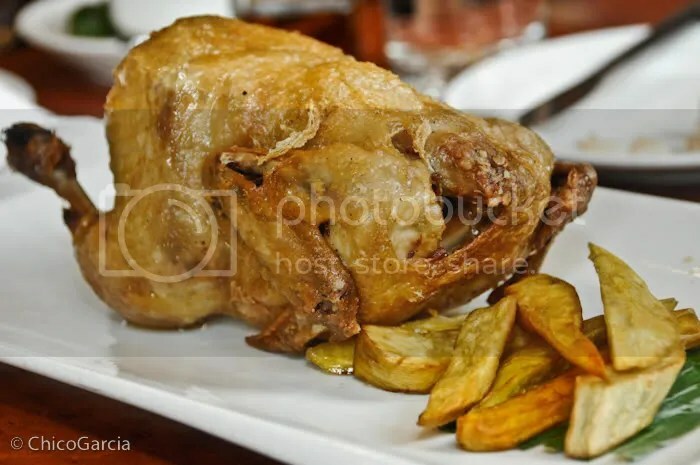 If dishes were animals, their Crispy Kare-Kare would be the apex predator. This was definitely the climax of the dining experience. 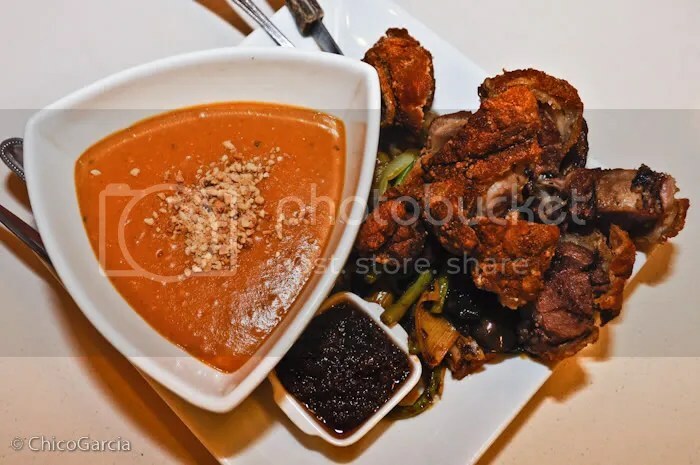 Think kare-kare, but instead of ox tail and tripe, they used crispy pata as the meat. Of course I drowned my crispy pata and rice in the peanut sauce, as I always do, and with the dollop of bagoong to complete the ensemble. Kare-kare is my favorite Pinoy dish anyway, so this was an easy pick for me. They served us two types of flavored rice, the Dilis Rice and the Adobo Rice. They’re both very tasty, with the dilis rice slightly stronger in flavor, while the adobo rice was more in-the-background type. 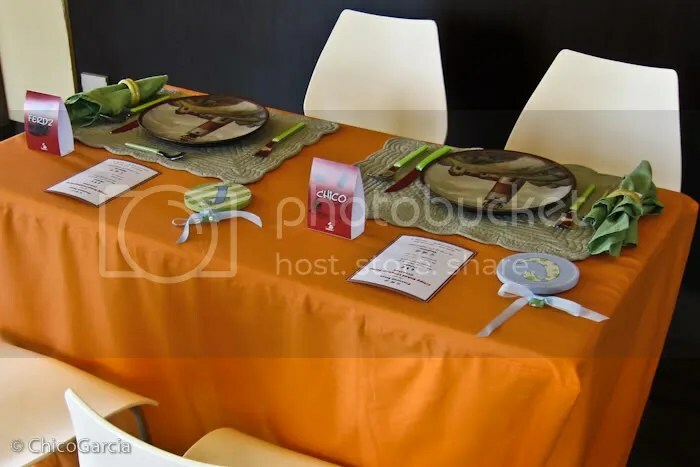 The adobo rice paired better with the stronger flavored dishes like the kare-kare, while the dilis rice paired better with the milder flavored dishes like the munggo. The desserts for me were the killers. First up, they served their specialty, their Bibingka Souffle. I know, you’re probably thinking how could souffle go bibingka? It’s delightfully possible. 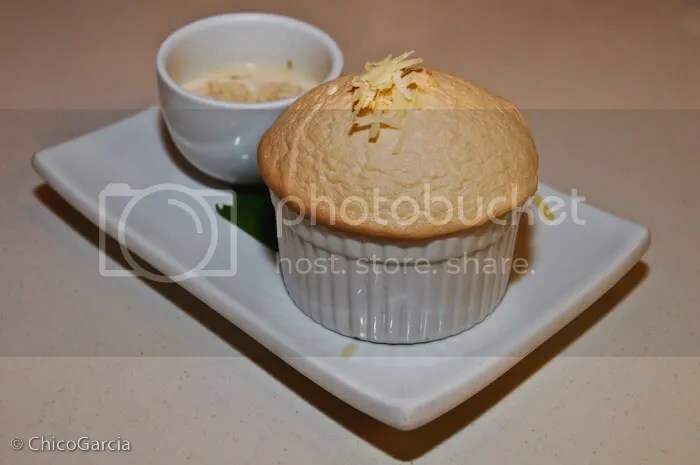 When you collapse the souffle dome and pour in the milky liquid, it reveals a devilishly fluffy souffle with bits of bibingka and itlog na maalat. Yes, it’s savory, but it definitely qualifies as dessert as well. It’s quite an experience. I recommend everyone to try this! 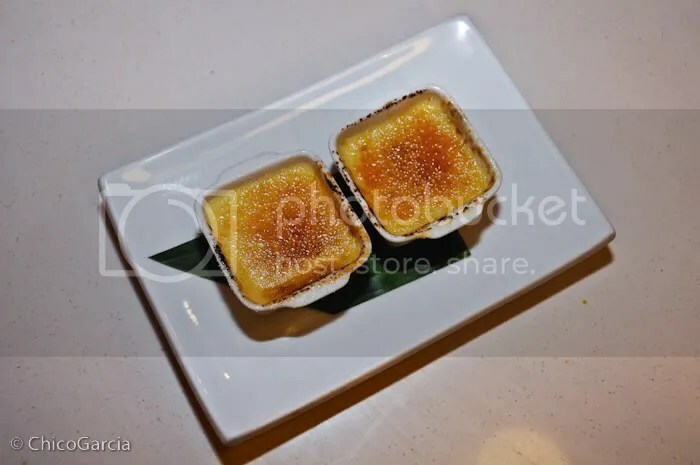 The souffle may be the star of the show, but my absolute favoritestest, is the Durian Brulee. People who know me know how much I adore durian. But even for the phobics who couldn’t stand the taste nor smell of the fruit would enjoy this concoction. 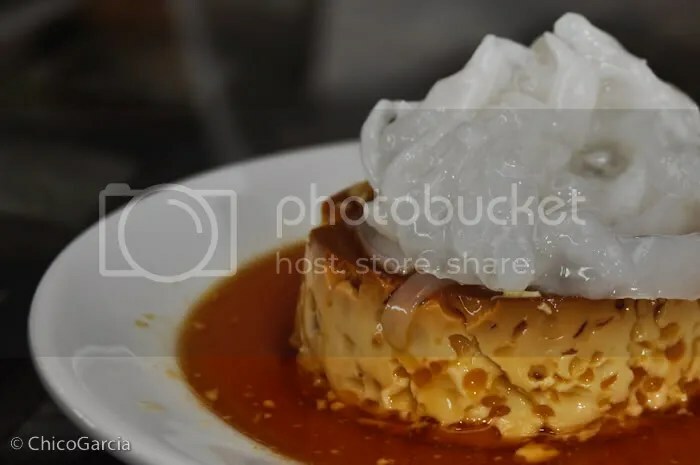 It’s not as gelatinous as your usual brulee, it’s actually more creamy in texture, and it resembles the creaminess of the actual durian fruit. It’s hard to explain, it only needs to be experienced. Don’t be put off by the durian, even if you’re a hater, I’m pretty sure you’ll enjoy this one. 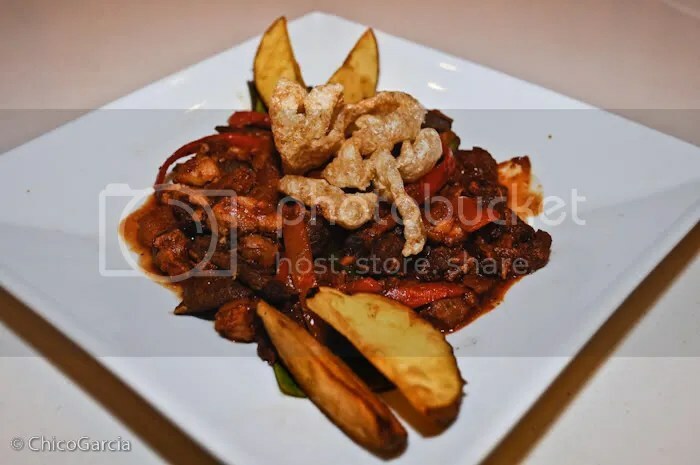 Our experience was made extra special since we were joined by their Marketing Manager, Alvan Young, and a couple of other people, including their chef, and they served and explained the dishes as we enjoyed them. Suffice it to say, we were spoiled rotten by their wonderful team. They even gave us a chocolate caramel cake to take home. It was divine! 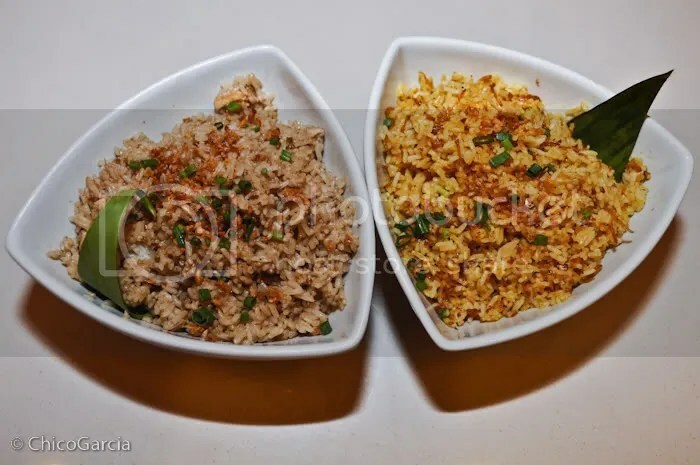 If you want to experience the classic Pinoy dishes with a twist, you may want to try C2 Classic Cuisine. 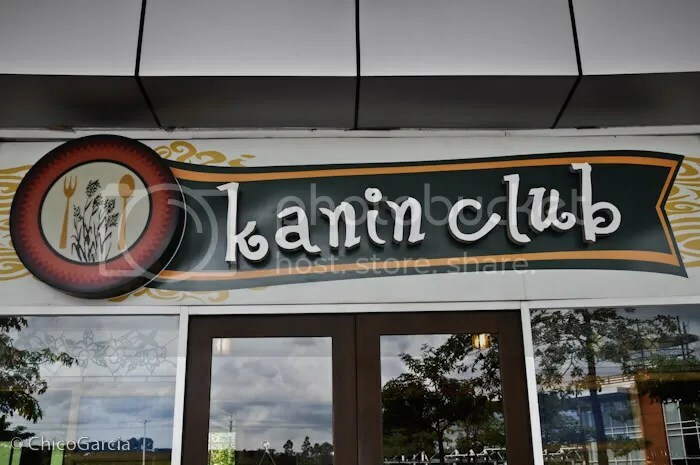 I’ve always heard a lot about Kanin Club, apparently it has a lot of fans, but for some reason (mainly because none of their branches are near my usual haunts), I have never tried eating there. So when we found out that it was to be the next stop of our Sooo Pinoy food tour, I was really stoked to try out what all the buzz was about. Since we all happened to be starving by then (it was a late lunch), we ordered like there was no tomorrow. This was sooo good. It’s the way I like my sinigang. Plus, the best part of it was, the meat was so tender! The slivers of meat were practically falling apart with the slightest chew. Definitely this was the way to start off a HUGE meal. 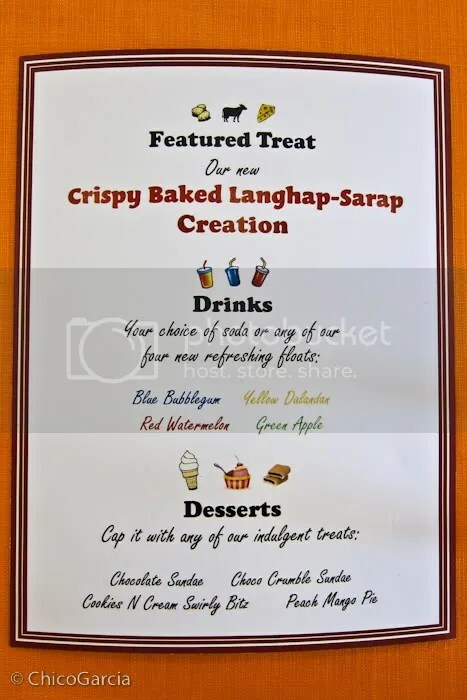 When we first tweeted that we were going to Kanin Club, everyone started suggesting that we get this. Actually I’m not sure if it’s Sinigang na Sinangag or Sinangag na Sinigang. But this is an amazing invention! It’s so good. Obviously it goes best with the sinigang na tadyang. Together with the dilis rice of Fely J’s, this is the rice to beat. Dear plapla, we’re deeply sorry for making you deadma. In a fit of pagbabalatkayo, we ordered out token healthy dish, which we then practically ignored. Not to say that it wasn’t good, because it was (I ate a good chunk), but compared to the plethora of flavors that barraged our taste buds, this dish was pretty much overshadowed. I posted these two dishes first because they were the ones a bit overlooked by us. I guess what made the other dishes stand out were the little twists that they delivered. The bistek was pretty much your standard bistek, and I would’ve wanted the meat to be a tad more tender, like the tadyang in the sinigang. This really caught my attention. First off, it didn’t really seem like adobo. Check out the sauce, it’s not your regular brown adobo sauce. It reminds me more of those tomato-based sauces like afritada or menudo or mechado. And it actually doesn’t taste anything like adobo as we know it. But you know what? It was dee-licious! I loved the unique flavor; I loved it not as adobo, but as a new dish. 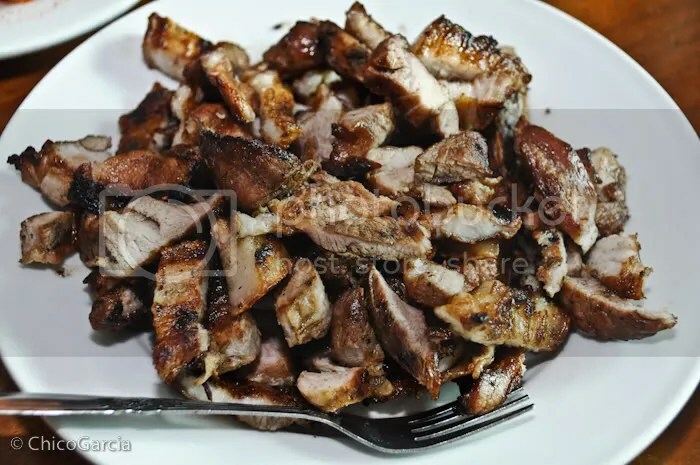 Plus, it had chicken, pork and liver, which I usually don’t see in most adobo dishes. But for some reason, the chicken tasted the best. I don’t know why, since they were all cooked together, but the flavor of the chicked was the best of the three ingredients. No Pinoy food festival would be complete without my favorite dish, kare-kare. We had a choice between the regular kare-kare and the seafood variant. We opted for the regular, since all my co-diners are allergic to shrimps and crab. I like oxtail in my kare-kare but I don’t like tripe. Good thing this one had both. 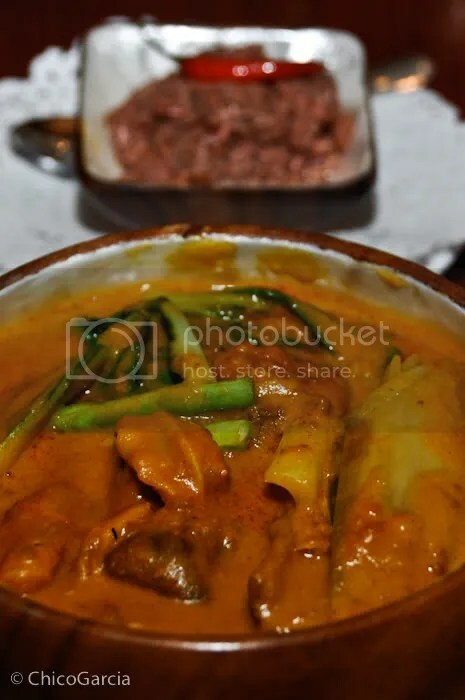 It’s very good kare-kare, very malinamnam and this is the only dish that I simply CANNOT eat unless I shovel spoonfuls of rice dripping with sauce in my mouth with it. 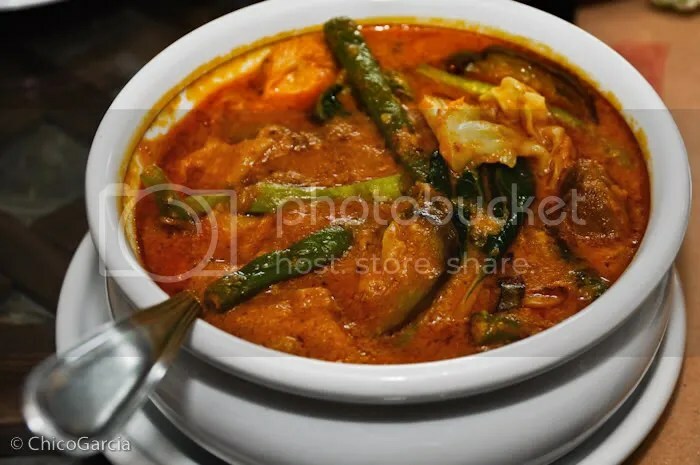 Regardless of whatever low-carb diet I’m on, if I eat kare-kare, get the rice ready! This is the star of the show, the king of Kanin Club! Like I said, when we tweeted about our lunch, this was the most suggested dish. So we were like, what’s up with this crispy dinuguan; sounded weird actually. OH. MY. GOSH. With the first bite, we knew that THIS was our favorite dish. 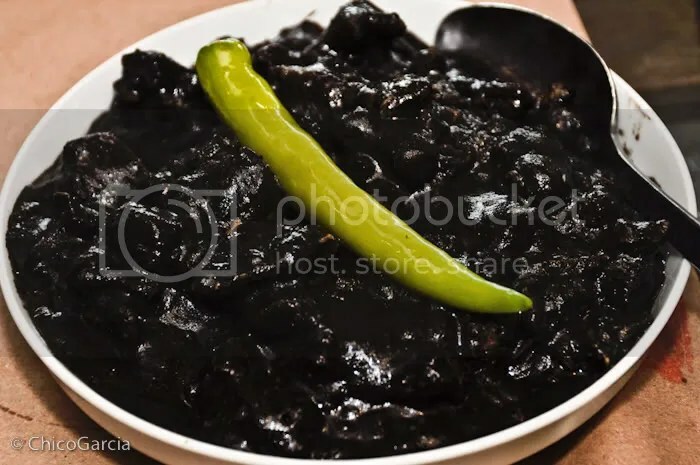 It’s basically dinuguan, but using chicharon (or bagnet or whatever crunchy fat-laden bits they were) and each bite or chew just squirted this wonderful chicha-yumminess to die for! But you can’t overdo this because I’m guessing that this is PURE SIN. But it is a gastronomic delight, definitely a must-try! Again, it’s turon like you’ve never experienced it. It’s not banana or langka, it’s some sort of ube-monggo-ish paste inside. Sweet, but too sweet, and very palatable. It takes getting used to, especially if you’re expecting the usual sweet banana flavor to welcome your taste buds, but once you get it, it’s quite delicious! The least sweet of the four desserts we tried. At Delle’s behest, we ordered maruya, mainly because she’s been telling me about it all these years, but I’ve never gotten around to trying it. It’s very rare for a restaurant to offer maruya as dessert. It was very good, but definitely much better ala mode. 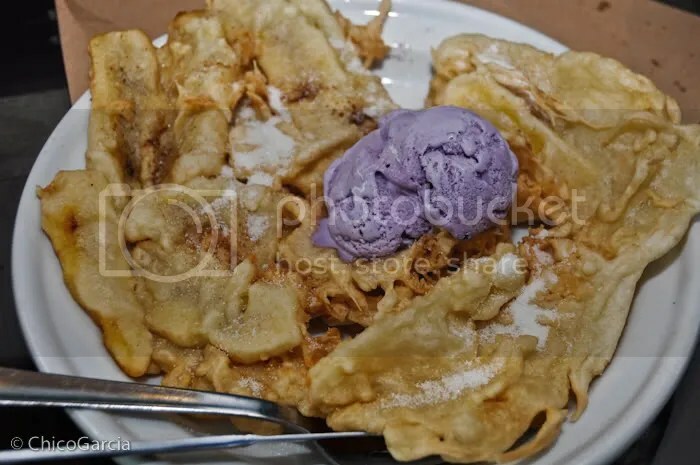 The ube ice cream was the perfect partner for it, although maruya-expert Delle said they usually eat it sans ice cream. This was my favorite. In our barkada, I’m the only one who’s not crazy about leche flan. I’m not a fan of flan. But this one was so creamy, and not so sweet, and the sweetness mostly comes form the macapuno on top. What a nice combo. The creaminess really got me! Of course, what parade of Pinoy food would be complete without the Reyna Elena of Pinoy desserts? Again, what I love with the four desserts we tried is that none of them were too sweet. This one had just the right amount of sweetness to allow you to devour this glassful to the very last drop without getting umay. Hands down, Kanin Club has been the most rewarding of our stops on our #SoooPinoy food tour. 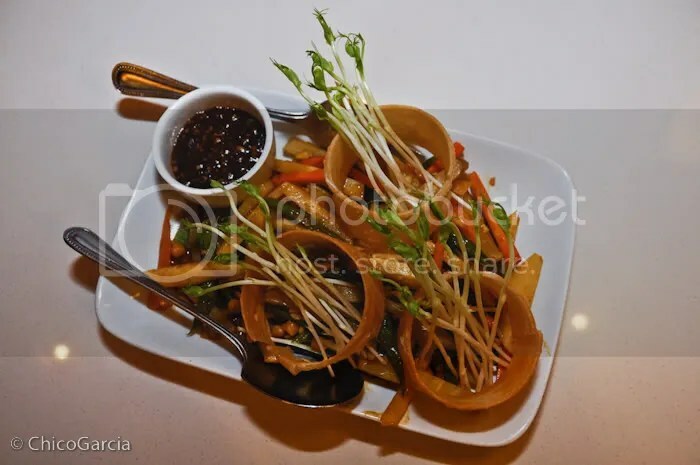 The dishes were the Pinoy classics, but many came with wonderful twists! We’ve never squealed with delight so often in one meal! For Pinoy cuisine aficionados, Kanin Club is a huge must. HIGHLY RECOMMENDED. It was so cool, it even had our names on it and it was all gussied up and personalized! 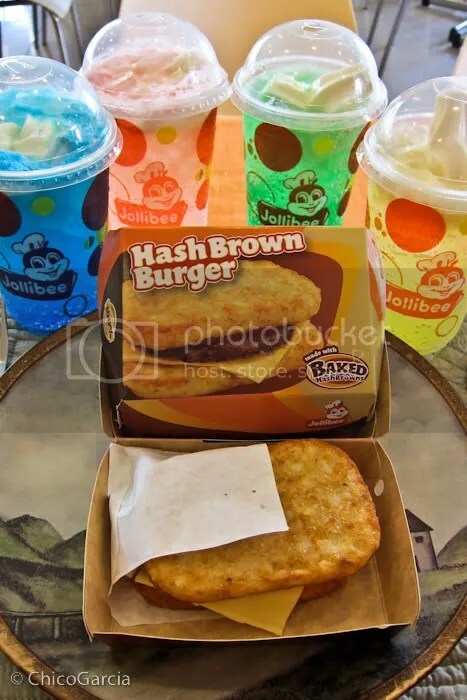 Finally, I lifted the cover and it was — the new Jollibee Hash Brown Burger! I’ve seen the box, now it was time to let my taste buds get acquainted with this new dish. 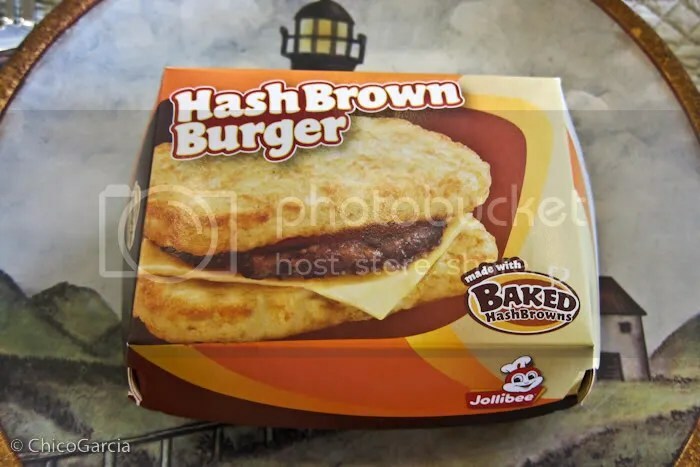 Basically, it’s a burger that has, instead of bread, hash browns! 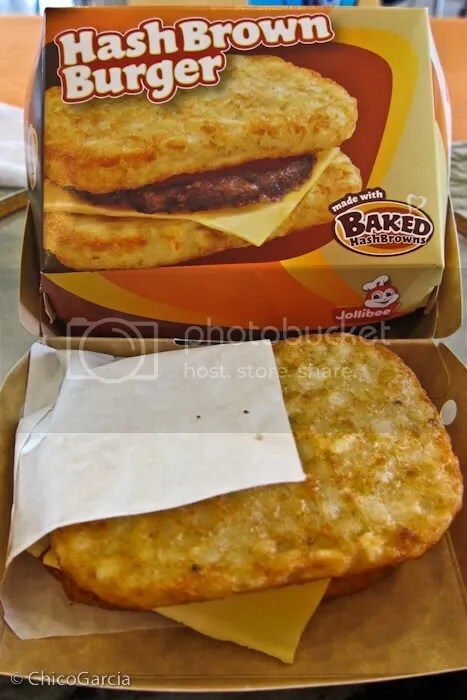 So it’s the same Jollibee burger patty sandwiched between 2 crispy baked hash browns. That for me spells the difference, the word: BAKED. So it’s not as greasy as you’d expect from hash browns, given that it’s baked instead of deep fried. So I was right, based on the gifts, it did involved potatoes (the 2 hash browns), beef (the beef patty) and cheese (the slice of cheese). That was a fun romp! Thanks to Jollibee for that little puzzle-mystery trip they took us on, till the next adventure! Riviera Cafe is located at The Heritage Hotel Manila, and their credentials are impressive. Their kitchen team recently won 2 gold and 5 silver medals in the recently concluded Philippine Culinary Cup 2011. So we knew we were in good hand. I haven’t had tinola in like, years! So this soup really hit the spot. 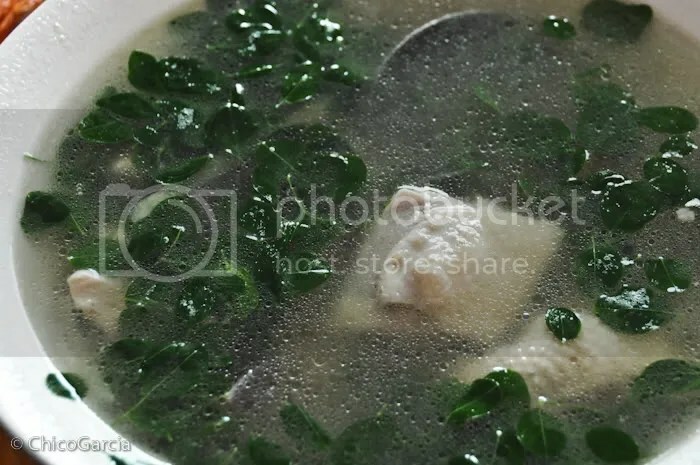 I love the whole ginger component of tinola, which gives it the sort of spicy kick the way it does with halaan. It’s light and refreshing, but tasty as well. Of the dishes, this is already the fanciest, since everything else has this non-restaurant, good old-fashioned home-cooked meal appeal. 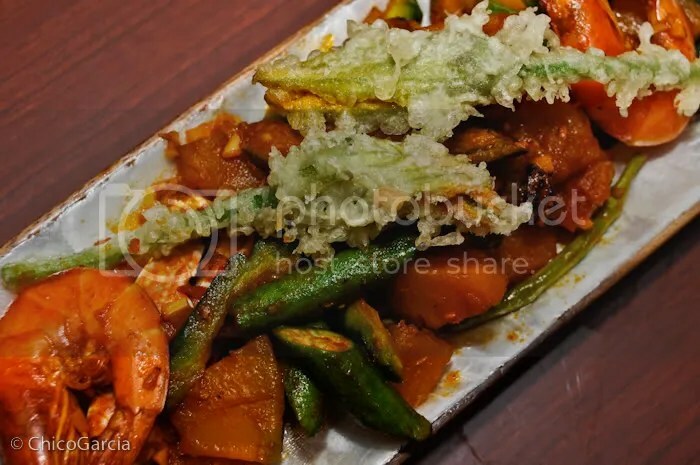 This is also a little bit out of the usual, with deep-fried squash flowers on top (which I LOVED). 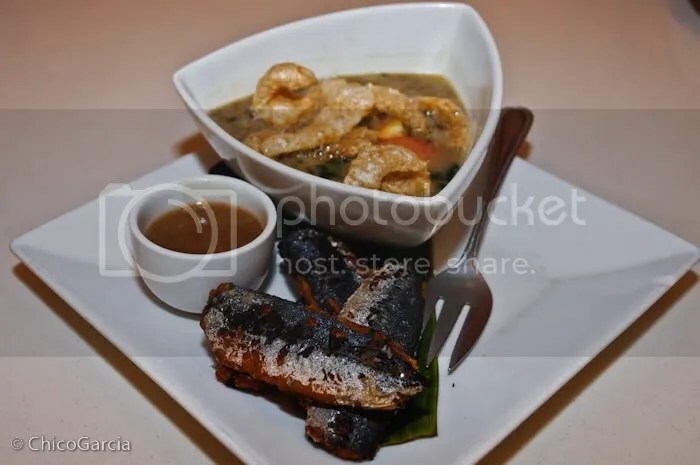 It also doesn’t have that overpowering bagoong flavor that tends to overwhelm other versions of this dish. So I got to taste more of the other ingredients than I did the bagoong. The next 2 dishes are what I’m talking about. The food doesn’t have that hotel-restaurant feel, it really transports me back to when I was a kid, during the days when you’d have lunch in a friend’s house, a friend who has a mom or a tita who cooks well, and you squeal with delight at the flavorful morsels that land on your plate. Kare-kare has got to be my single most favorite Pinoy dish ever. So much, that I have grown up to be quite a kare-kare connoisseur. So when this creamy concoction was served I hungrily plowed into the dish and I was not disappointed. I ended up wolfing down so many servings of rice because I couldn’t stop once I started. The highlight of the meal for me. Of course a meal would not be complete without dessert to sweeten our palates. 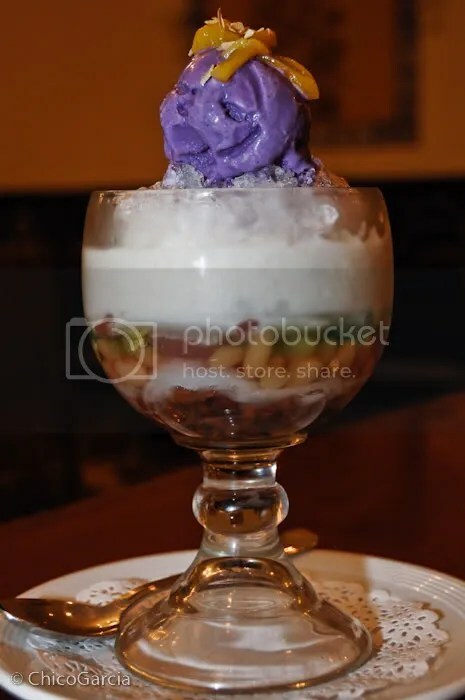 Nothing screams PINOY like halo-halo. I love this dessert mainly because it’s dessert AND a drink as well. You don’t really feel like you’re downing some heavy starchy dessert, mainly because it’s so refreshing as well. They didn’t scrimp on the ingredients with this hefty serving. I’m actually not a big fan of kakanin mainly because it’s a bit too heavy for me as compared with other sweets. So it’s brilliant that they came up with a sampler of the bite-size rice cakes because you won’t get that umay feeling because the servings are so tiny! You’ll be begging for more after you’re done. 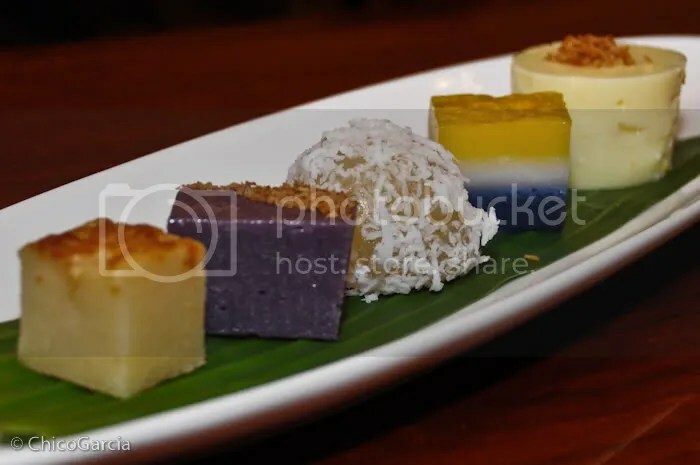 My faves here are the sapin-sapin and the majablanca. Overall, eating at Riviera Cafe is such a comforting experience. Like I said, it’s more of genuine home-cooked goodness that reminds you of home. If you’re looking for fusion cuisine, what we had wasn’t it. What it was though, was authentic Pinoy cooking. 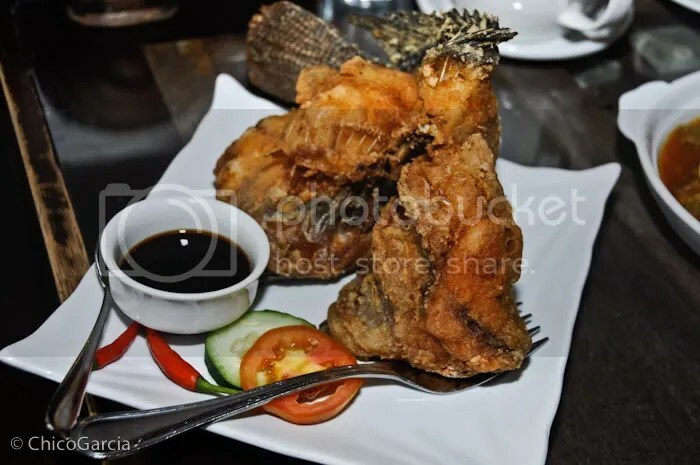 They said most foreign guests ask for real Filipino meals, and not the foreigner-friendly versions, so they came up with a Pinoy home-cooking taste for their arsenal. I was ready to burst after the satisfying meal (mostly it’s the kare-kare to blame), so I walked away with a full belly and a happy palate, and all I wanted then was a warm bed with fluffy pillows, on which I could curl up and snooze the day away with a big smile on my face. Our next stop for our Sooo Pinoy food tour is a classic. Anyone who’s ever lived in the Philippines would know Max’s. I remember eating at their branch in QC way back when I was a kid. Max’s is not about fancy or quirky versions of Pinoy classics. They don’t stray from the familiar, so it’s perfect comfort food when you’re craving for meals with home-cooked goodness. So when we started ordering, we knew we were venturing into the comforting familiar. 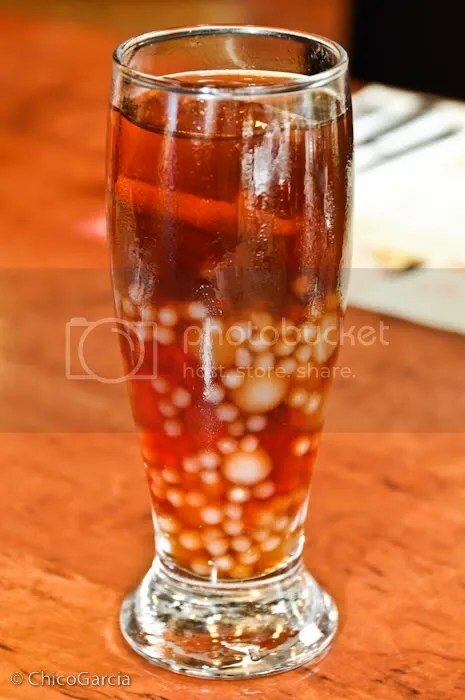 My drink was the classic sago’t gulaman, and it doesn’t get any more Pinoy than that. Whenever it’s available, this is always my refreshment of choice. Buko juice is a close second. 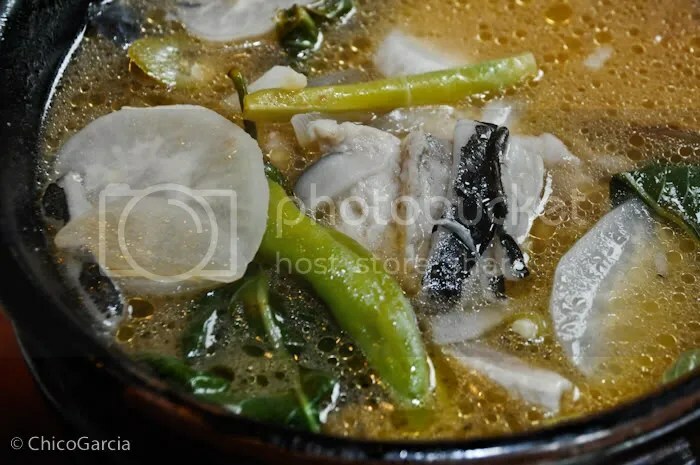 My favorite sinigang is actually sugpo. But this a close second. It’s the perfect starter for a big meal like today’s, and the best in-between breaker when going from one ulam to another. The warm sour soup just hit the spot! This is the star dish for August, so thought we should make it our vegetable dish. Like I said, the taste is very classic. Max’s doesn’t experiment too much with the tested formulas. 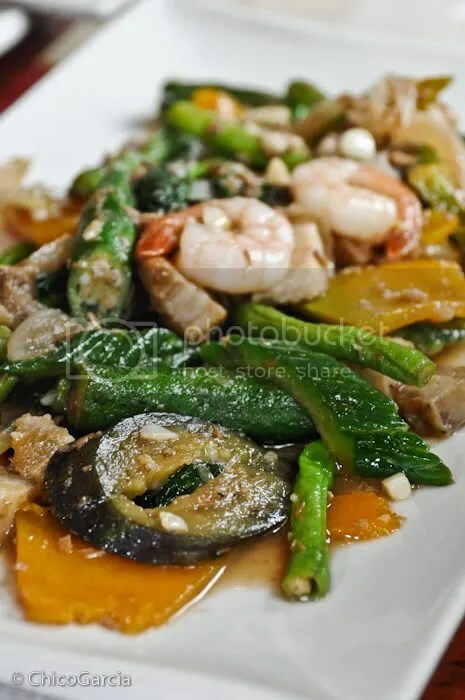 It almost tasted like the pinakbet of my youth, when we had a yaya who cooked really well. One of the best dishes today. It has that lutong-bahay quality to it. If you prefer your adobo more on the salty side, and hardly tasting the vinegar, this is the adobo for you. One of those dishes that you just can’t without rice. 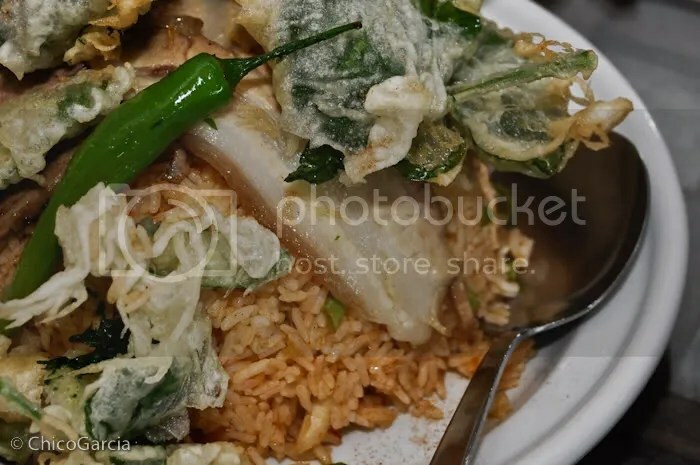 In fact, you shovel rice with a dish as saltily delicious as this! How could you go wrong with crispy pata? 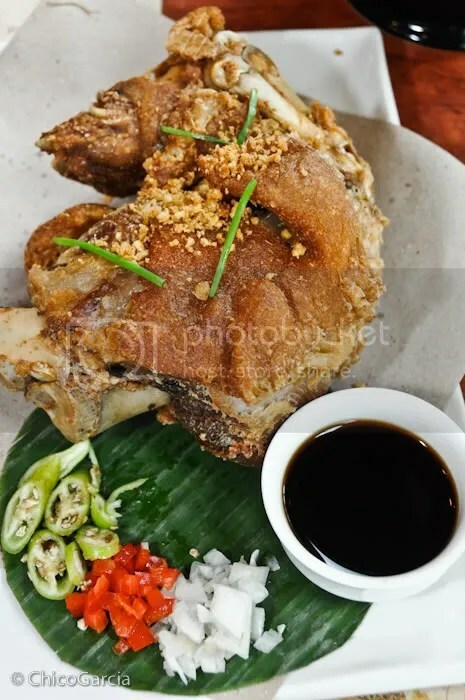 We had a choice between lechon kawali and crispy pata, and since we got lechon kawali last stop, we went for the crunchy pork knuckles that are regular companions during inuman all over the country. We really had to stop ourselves from gorging on the crunchy skin of the pork. Of course, the star of the show. To dine in Max’s and not order chicken is almost a sin! Doesn’t matter how good the other dishes are, I always save the chicken for last. This really transport me to when I was a little boy, free from troubles. 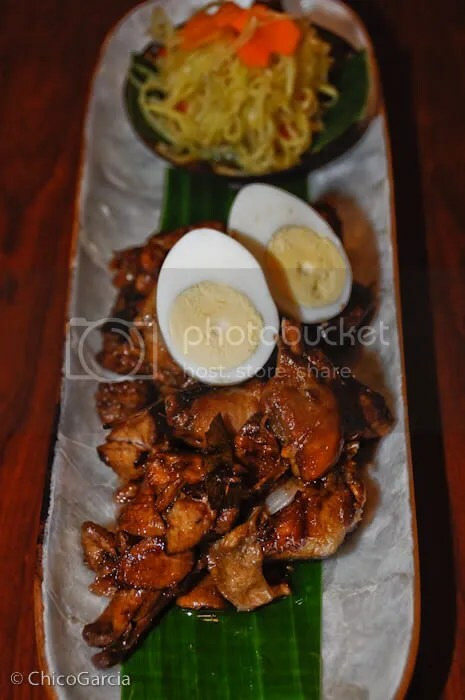 It’s such a comfort food, sending warm tingly happy feelings all over with the first bite into the warm juicy chicken meat that instantly melts in your mouth. 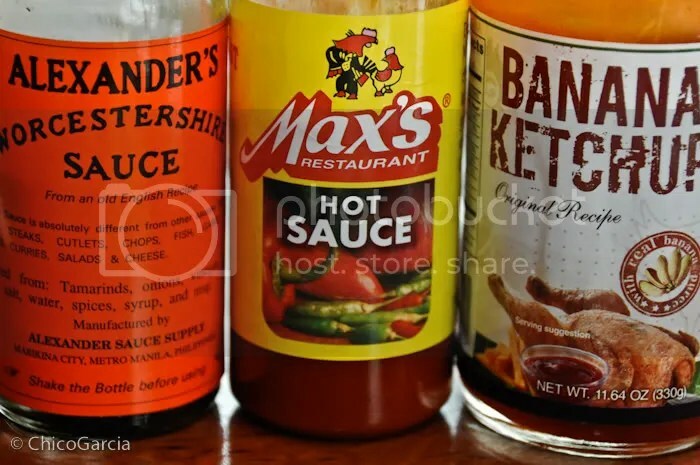 Of course it comes with the 3 condiments in the first photo — banana ketchup, worcestershire sauce and hot sauce. It CANNOT be eaten any other way. 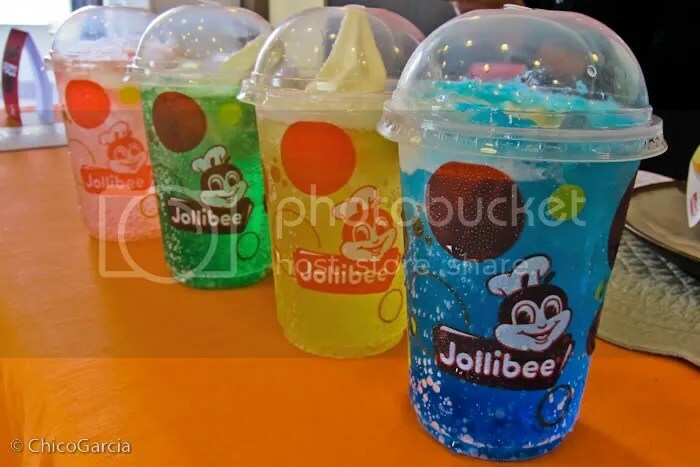 Just our luck, we couldn’t order their halo-halo because their ice machine broke down. So we opted for the dessert sampler instead. Omigosh, all 4 desserts are to die for! The ube pana cotta is the BEST. They say it’s endorser Piolo Pascual’s favorite. It’s sooo creamy with just the right amount of sweetness. The other 3 are just as good. Delle loves the brownie ala-mode. 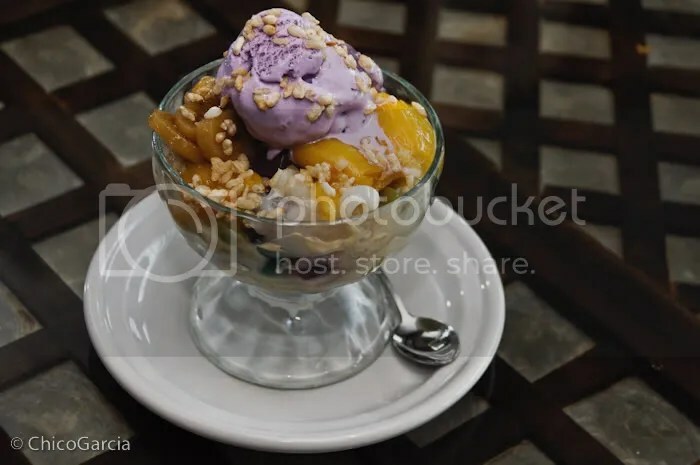 What I loved was getting some of the ice cream from the brownie, and then eating it with the leche flan — heavenly — my eyes rolled back into my head. 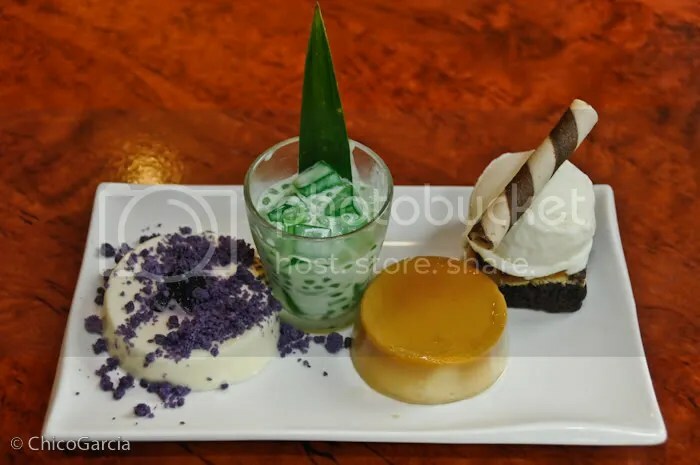 And of course the buko pandan is a classic that everyone loves, also the least sweet of the sweets (so it’s also a fave). Max’s is one of those restaurants you have to eat at every so often, just to transport you to a simpler time, when food always tasted like it was cooked by your mom. It’s like a warm blanket on a cold night. Comfort food is the best way to describe it. These are just ads I guess, but they really move me. There’s nothing as spiritually enriching for me as traveling. I don’t need to go to any church or religious edifice, but seeing the world and the infinite wonders that it reveals, gets me waxing philosophical each time. I want to move, as far as my legs (or at least a plane) could take me and see what I never even suspected existed. I want to eat, and as they say, what we eat becomes a part of us, so every place you eat from somehow becomes a part of you. And I want to learn, to not just pass by each place, but to take a little piece with me, and at the same time, leave something of myself behind. The more I see of the world and of how large it is, the smaller I feel, yet at the same time the wider my understanding becomes. For me, traveling is not so much an escape, but more of a coming home. A coming home to the rest of the world.